Even though the story might be called Peter Pan, we all know who the real star is. Over the years Tinkerbell has earned her very own fan base, and if she had to attend every Tinkerbell birthday party ever thrown, well – let’s just say she’d be a very busy little fairy. 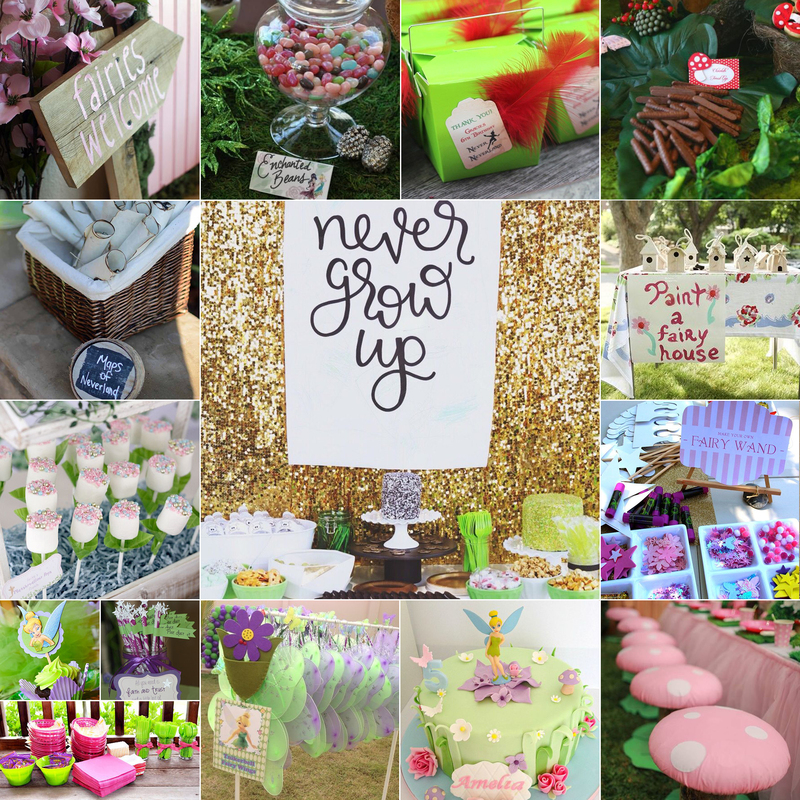 On that note, let’s talk about ideas for your upcoming Tinkerbell themed party! Because even if you don’t know it yet, if you’ve got a little girl there will definitely be a Tinker-themed party in your near future. Green and yellow, of course! But let’s add a dash of purple just to up the “girly-factor”. Spoil the birthday guests with little DIY tutus, made with netting off-cuts, wings or fairy wands. Alternatively, let the girls decorate their own wands and have their faces painted – oh what fun! Sprinkle glitter and fairy dust all over the table, birthday cake and floor! Flowers, flowers everywhere! And let’s not forget to add a few butterflies too. Instead of a cake, opt for glitter cake pops which are also reminiscent of fairy wands. Let’s not forget Tinkerbell’s iconic pom-pom shoes! Make your own by topping green pumps with white fluffy pompoms. Serve jelly straws (pixie dust) and mix up some deliciously fruity pixie punch! Of course, boys are allowed and thankfully Tinkerbell has plenty of boy buddies for them to dress up as. Build a “city skyline” photo backdrop with cardboard boxes, and let the kiddos pose for fun flying pictures! Note: We all know that some little boys don’t quite like the “girly” way of doing things, so if you suspect you will be having an unimpressed little guy or two at the party, try incorporating a touch of Peter Pan goodies in the mix. Win a share of R50K in prizes for your children’s school and team by going BOS!